Actionable metrics for engineering leaders. 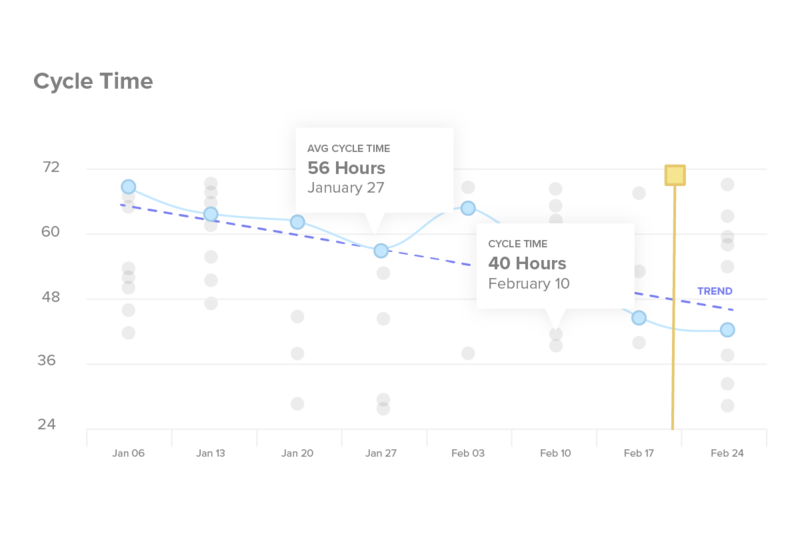 Velocity turns data from commits and pull requests into the insights you need to make lasting improvements to your team’s productivity. Software engineering is a discipline with largely invisible parts. To get the full picture of how your team is working and where they need help, you need to disrupt engineers, scan source control systems, and pore over ticket comments. An Engineering Intelligence platform allows you to quickly and accurately diagnose where work gets stuck, who needs help, and where the greatest opportunities lie for continuous improvement. 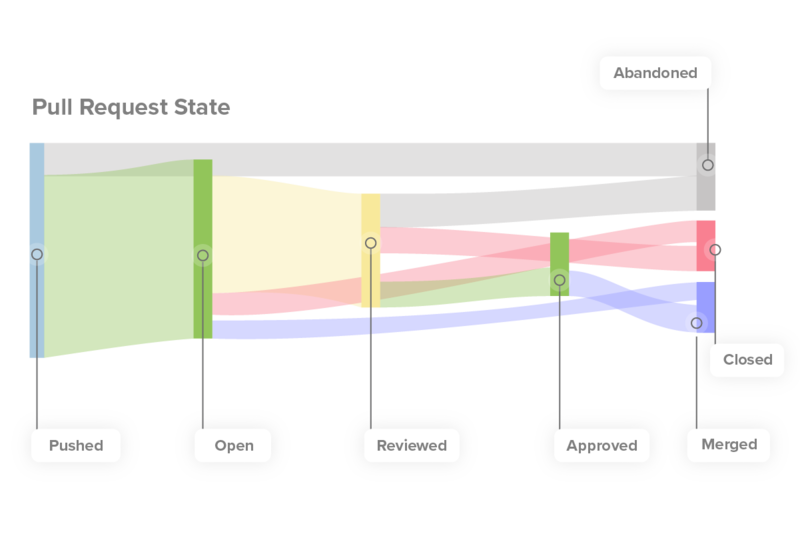 Bottlenecks hidden throughout your process slow delivery and demoralize engineers. 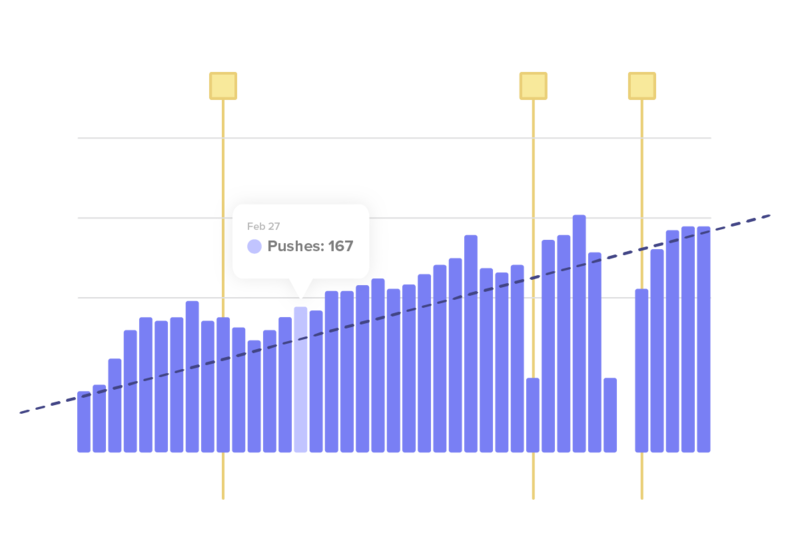 Find your biggest slowdowns by pinpointing exactly where pull requests get stuck on the journey from open to deploy. Frequent status updates compromise autonomy. Distinguish productive work patterns to know when to help and when to avoid interrupting engineers. Intuition is unreliable at scale. Have the data to support important decisions. 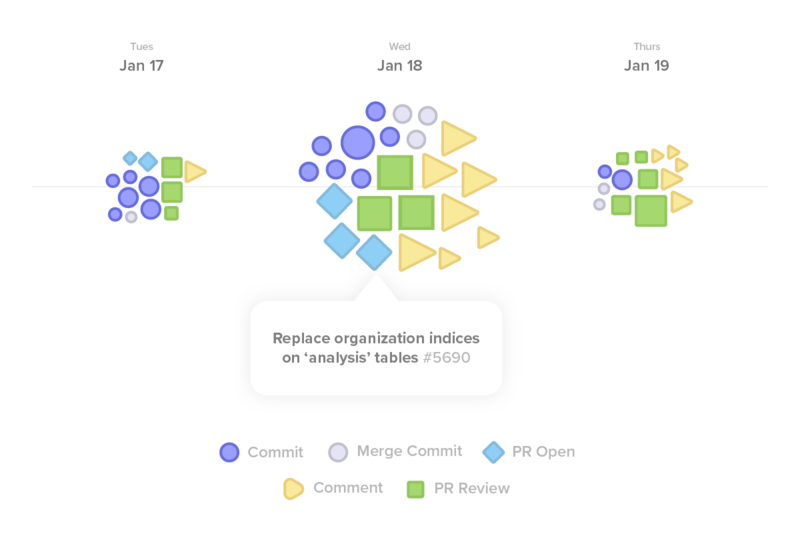 Objective metrics in context give you the foresight to ensure your changes truly improve how your team works. Engineering problems are difficult to describe. Use data as a common language for communicating engineering successes and challenges across your organization. Tangoe decreased cycle time 69% over 6 months. Velocity benefits every member of your team. See patterns or anti–patterns in efficiency, and make changes that lead to long–term productivity gains. Align with managers on success metrics, advocate for yourself and discover new opportunities for professional growth. Look at objective data to understand the progress and constraints of the engineering department. Metrics serve as a common language to improve communication and risk identification. To help you make a well-calculated decision, we put together a cost-benefit analysis of scaling an engineering team, equipped with a spreadsheet Hire Or Optimize Calculator. See what Velocity reveals about your productivity and discover opportunities to improve your processes, people and code.